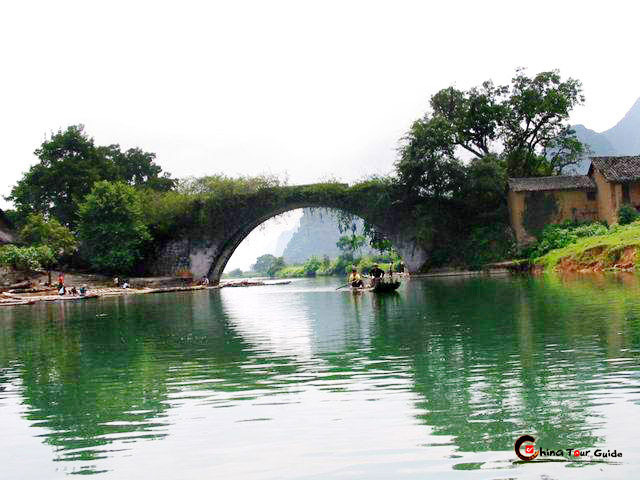 Situated on the west bank of the Li River in Guangxi, Guilin is the most attractive tourist destination in South China. Its dreamlike landscapes feature rock mountain formations of all shapes and sizes seemingly dropped from the sky. Crystal clear rivers weave to and fro through the abundant greenery and numerous caves hold underwater springs and more small scale rock formations. 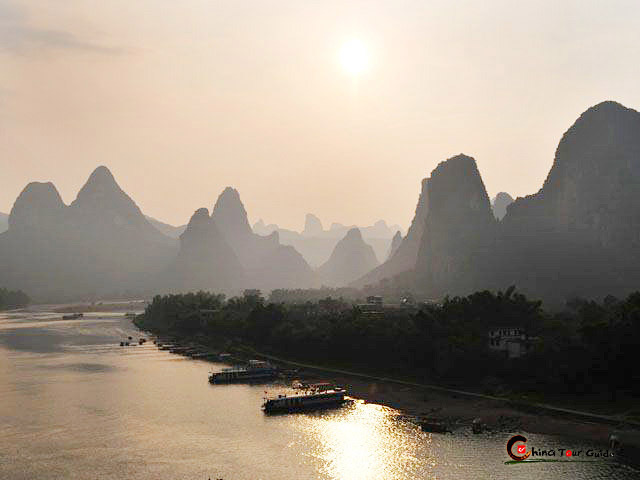 According to a popular Chinese idiom, the mountains and water in Guilin are the most magnificent under heaven. The name of the city in Chinese means "forest of sweet osmanthus". When summer comes, the fragrance of sweet osmanthus blossoms fills the city, refreshing visitors. One of the most enjoyable activities in the area is to take a boat ride down the Li River between Guilin and Yangshuo. This allows tourists to relax and enjoy the smooth, cool ride, while taking in all of the beautiful countryside.The town of Yangshuo itself, with its multicultural West Street and opportunities for cycling and hiking, is a popular stopping-point for visitors. Besides the unparallel scenery in the area, Guilin is important for its more than 1000 year run as the area 's political, economic and cultural center. 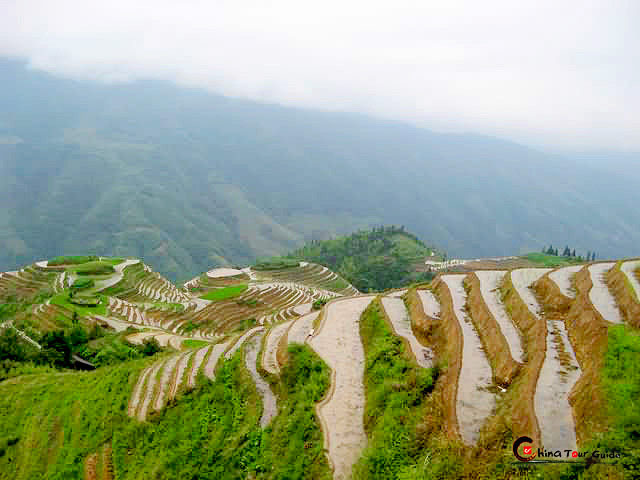 Meanwhile, Guilin is the home of more than 10 ethnic groups, such as Han, Zhuang, Miao, Yao, Hui and Dong etc..